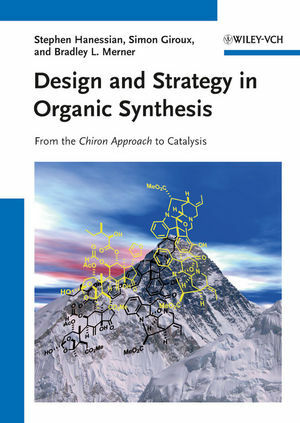 This long-awaited graduate level book, written by one of the world's leading organic chemists in collaboration with two of his former and present coworkers, adopts a refreshingly unique approach to synthesis planning and execution. Following an introductory look at the concept of synthesis, the authors discuss the Why, What, and How of organic synthesis as they apply to natural products. Although emphasis is on the Chiron Approach utilizing amino-acids, carbohydrates, hydroxy acids, terpenes, lactones and other naturally occurring small molecules as starting materials, catalytic asymmetric methods are also included as a corollary whenever relevant. A must-have source of first class information for everyone working in organic synthesis, be it in academia or industry. Stephen Hanessian holds the Isis Pharmaceutical Research Chair at the University of Montreal and is also on the faculty of the Departments of Chemistry, Pharmaceutical Sciences and Pharmacology at the University of California, Irvine. He has received numerous awards and distinctions, the latest being the 2012 Ernest Guenther Award in the Chemistry of Natural Products from the American Chemical Society, and the IUPAC-Richter-Preis in Medicinal Chemistry. Simon Giroux was born and raised in Montreal, Canada. He received his PhD in 2006 with Prof. Stephen Hanessian and subsequently spent 2 years in the laboratory of Prof. E. J. Corey at Harvard University, as an NSERC postdoctoral fellow. He is currently working as a medicinal chemist at Vertex Pharmaceuticals in Cambridge, Massachusetts. Bradley L. Merner is a native of St. John's, Newfoundland, Canada. He completed is PhD degree under the direction of Prof. Graham J. Bodwell at Memorial University in 2010, and then moved to the University of Montreal as postdoctoral research associate in the laboratories of Prof. Stephen Hanessian. In the fall of 2013 he will join the Department of Chemistry and Biochemistry at Auburn University as an Assistant Professor. Total Synthesis: From whence we came. . .